208-844 Dr. Jeannette Graf, M.D. Aging and environmental aggressors both take a toll on your skin. Let Dr. Graf help you pamper and nurture your delicate eye area. 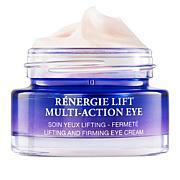 This targeted skincare product is formulated to help control the visible signs of aging around the eyes and give you a younger look. What's not to love about that? I really like this eye cream. The product is light and absorbs into the delicate skin around the eyes.Keeps those fine lines away. I (67) have been using this for almost a couple years. 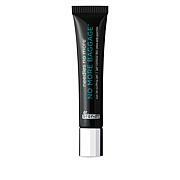 I have tried others and Rejuvenation Retinol Eye Creme I believe is one of the best on the market. I LOVE HER RETINOL CREAMS; NEVERCOULD USE RETINOL CREAMS BEFOREBUT THESE WORK GREAT. THEY ARESO SOFT A CREAMERY . I have tried almost every eye cream that HSN offers, non w/any results. Dr Graf products always give great results. I will stick w/this product. In mid sixties, after 1 week, lines are lessened. Dr. Graff's eye cream has been the best I've ever used. I am now in my 50s and it is made a huge difference with fine lines plus it helps when you use it with your concealer.